This is like the fourth in our series of Sealants and Epoxies are your friend. Below is a photo of a VERY common leak problem in bathtub spas, also known as ‘jetted bathtubs’. This tub uses the most common type of spa jet – a simple hollow ball with a nozzle. 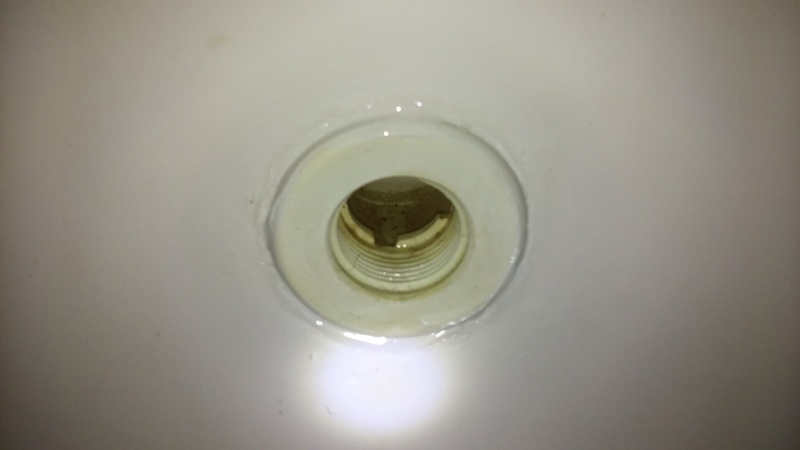 Where these things most often leak, is from the flange edge that you can see in the photo above – that is visible. At the junction of where that flange touches the tub, behind that is either silicone sealant, a gasket, or both. Both is rare. The customer that owned this bathtub had already removed everything around the tub for full access and diagnosis of the leaking problem he was having. The solution is simple. Simply seal the area of the outside edge of the jets – all of them! Not just the 3 we had leaks on. If the other 3 aren’t leaking now, they will be soon. It’s a quick and easy procedure and took less than 45 minutes to perform. 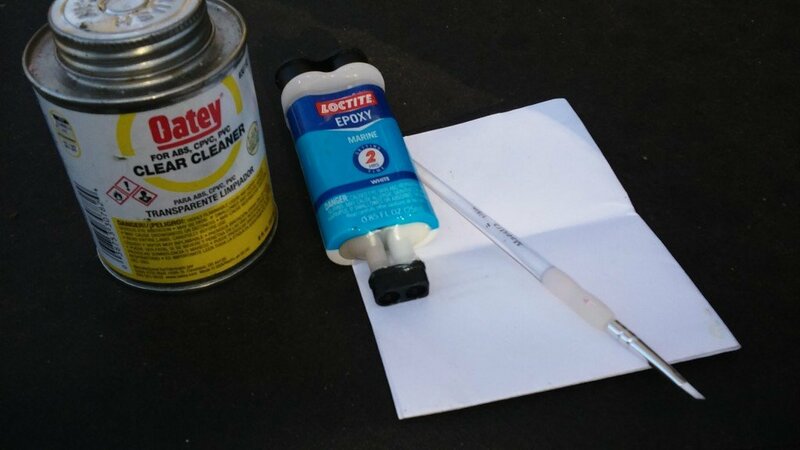 Enter our un-sung hero, Loctite Marine Epoxy – with a paint brush, and pvc pipe cleaner, which is nothing more than a mixture of acetone and MEK. The small paint brush is used to ensure accuracy of application and limit excessive waste and over-application of the epoxy. Using the clear Oatey pipe cleaner around the edges of the jet flange and the tub, then drying it out with a paper towel – it ensures a great bond for the epoxy. This is a really simple, quick and easy repair – I did 6 jets in less than 45 minutes. Just take your time and use common sense. Typical home-owner repair cost? Less than 15 bucks! 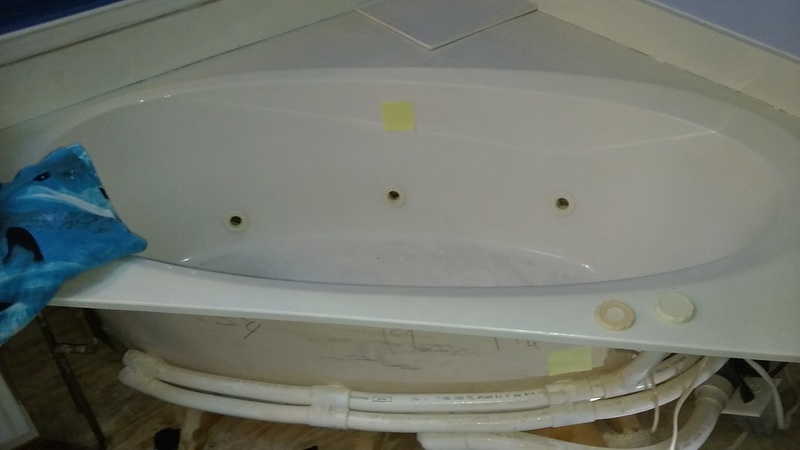 Note that the above photo shows the epoxy applied to the bathtub jet, with the jet insert removed. In this style of installation, it’s usually pretty easy to unscrew the outside of the jet flange, and remove the flange and the jet nozzle which makes the repair easy. Once finished, simply re-install the jet nozzle and the flange. Any questions? Give us a call we’ll give you a hand with this.